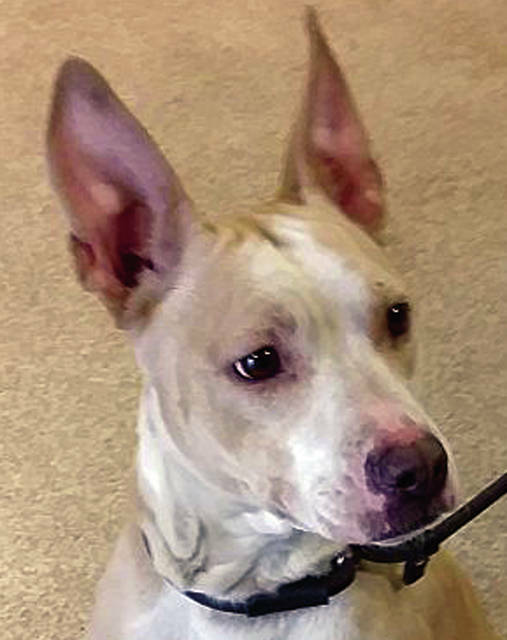 https://www.dailycall.com/wp-content/uploads/sites/30/2019/01/web1_Marie.jpgMeet Marie Marie, a pit bull terrier mix, was released by her owner because they couldn’t care for her any longer. She is 4 years old and is now looking for her new forever home. She is pretty sweet and loves attention. Come and meet her today and see if she is the right fit for you. If you would be interested in this dog, or one of the other dogs and cats that need forever homes, visit 1110 N. County Road 25-A, Troy, call (937) 332-6919, or email mcas6919@yahoo.com for more information. Visit www.co.miami.oh.us for more adoptable pets.